Gain expertise with networking scenarios for certification and production environment. This figure displays the various cables used to connect different networking and internetworking devices. SemSim.com provides training resources for Cisco certification exams: CCIE, CCNP, CCNA, CCDP, CCDA. 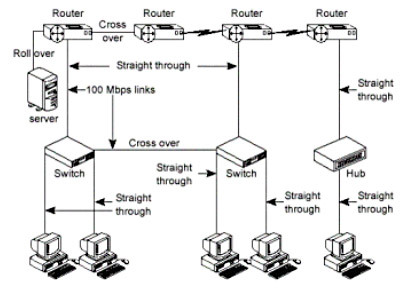 It offers FREE learning resources to students such as study guides and router simulation labs at it's online learning center located at http://www.semsim.com/ccna/learn.html.